Ramsden's Reservoir: Social justice – rhetoric or reality? Social justice – rhetoric or reality? 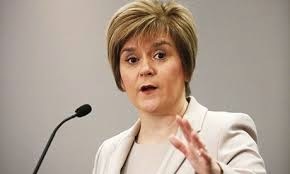 I like Nicola Sturgeon. I really do. I like her clear focus on social justice and her willingness to make that part of the political vocabulary again. During the UNISON referendum hustings I asked her a question about child poverty and she told me that she was passionate about ending poverty – that it was her passion for social justice that had brought her into politics. Good to hear! What puzzles me though, is why the SNP Government over the past few years – years in which Nicola has been deputy first minister - has persisted in policies which run counter to a social justice agenda. Why they have continued with a Council Tax freeze which, although electorally popular, has been shown to benefit the richest rather than the most vulnerable, who are most dependent on public services; why they have cut college places, a route out of poverty for many children from working class and poorer backgrounds; why they have voted again and again against including the living wage in procurement? Maybe there’s a limit to what you can do as a deputy. From the trade union responses to Nicola’s statement it is clear that they are prepared to give her the benefit of the doubt – to take her at her word. It would be churlish not to do the same. After all, I am completely at one with her commitment to social justice. I believe as she does that many of those who voted YES in the independence referendum did so because they believed that it was the route to a fairer more equal Scotland. I certainly did. I am also very clear that many of those who voted against independence did so because they too want a fairer more equal society where wealth is shared more evenly and no child has to grow up in poverty. They just didn’t believe that independence could deliver this. However, we need to recognise that there were also many on both sides of the debate who don’t give a stuff about social justice or child poverty. Who voted for their own self interest. And yet more who want a fairer and more equal society for sure, but who are unprepared to give up on any of their income to achieve this, believing somehow that it can happen by magic. And even with Nicola’s good and I believe genuine intentions, there is still little about how greater social justice can be achieved. About the elephant in the room – the need to have a fairer and redistributive tax system which takes from those of us who can most afford it, and especially the very rich, to fund public services, the NHS and a decent welfare system. When I was growing up there was a very clear understanding of the link between the taxes that people in work paid and their use in funding a fairer society which protected the most vulnerable. My Dad willingly paid higher taxes than I do now because he had grown up in a time before universal healthcare, before a welfare safety net for the most vulnerable. He understood that his taxes went to fund the NHS so that everyone would get health care free at the point of need; to fund programmes of council housing so that we could live in decent houses; and to fund welfare benefits and other public services. He paid his taxes out of a sense of collective responsibility – a willingness to contribute to a better society not just for himself and his family but for everyone. Makes my Dad sound like some kind of hero, but he wasn’t. He was just an ordinary worker, whose values were the same as everyone else’s in our community when I was growing up. Somehow we have lost these values in our money orientated society. Worse, we have lost the link between paying our taxes and having decent public services and welfare benefits. And this is perpetuated by the wealthiest in our society, those most able to contribute, so that they don’t have to pay their fair share. But that is what we need to get back to. We need to make greed the social evil instead of higher taxes. 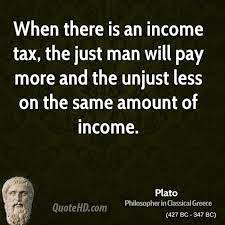 We need to get back to seeing fair taxation as essential to a fairer, more socially just society rather than seeing higher taxes as a burden. 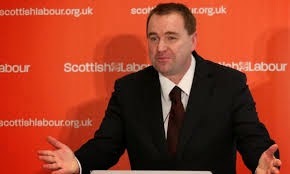 I have high hopes that that is where Neil Findlay will take us if he becomes leader of the Scottish Labour Party. I hope that he will hold Nicola Sturgeon and the SNP Government to account if they fail to follow through on their stated aims of a fairer and more socially just Scotland; that he will challenge them robustly where the practice does not live up to the rhetoric. Equally I hope that he will throw Labour’s weight behind SNP policies that will promote social justice, with an eye to the greater good rather than a focus on narrow party interests.